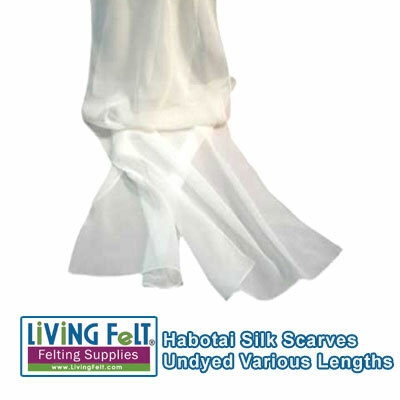 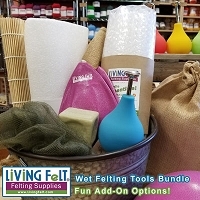 Home > Wet & Nuno Felting Supplies > Silk Habotai Scarf 11" x 59"
Silk Habotai Scarf 11" x 59"
Part Number:Silk-Habotai-Scarf 11" x 59"
Habotai is a tighter weave than chiffon which results in a shinier surface and increased pucker with nuno felting. 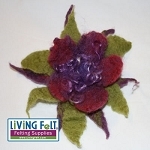 Expect more shrinkage due to the puckering. 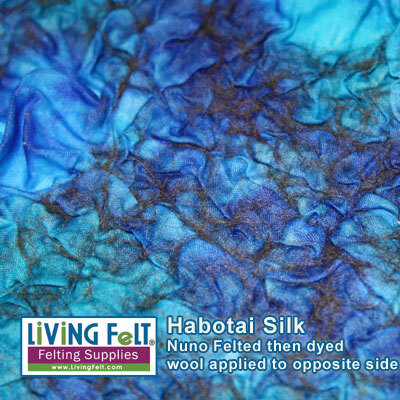 *this is a wonderful texture for surface design! 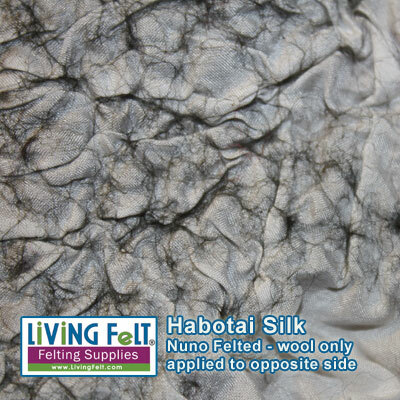 Carbon Gray and Black merino tops were applied to only one side of the habotai silk scarf. 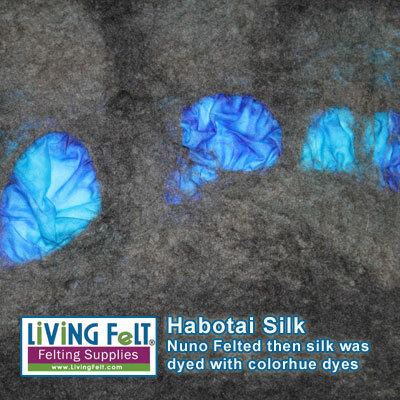 We left small exposed areas of silk that were dyed after nuno felting. 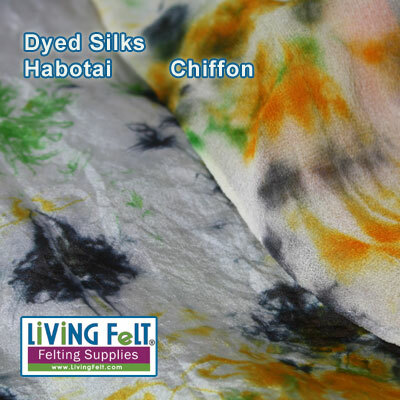 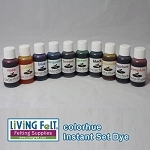 of habotai silk can be incorporated into a wet felting project for this effect. 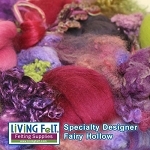 A 5mm silk fabric of 100yds would weigh 5lbs.